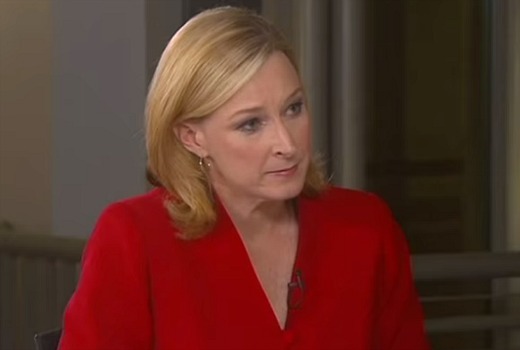 The Australian Communications and Media Authority has cleared 7:30‘s Leigh Sales of any bias during her Budget night interview with Treasurer Joe Hockey which was criticised for its interruptions and style. Communications Minister Malcolm Turnbull had complained that ABC journalists, also referring to Lateline‘s Emma Alberici, took a “very aggressive” stance and recommended journalists take a “more forensic” approach. But an ACMA investigation found while Sales took a ‘devil’s advocate’ approach, she did not exhibit behaviour that would suggest a personal bias or political leaning. It also found her interview with the Shadow Treasurer later took a similarly assertive approach. In 2012 ACMA cleared Sales of any bias in an interview with Tony Abbott. > The interview with the Treasurer formed part of the national broadcaster’s special ‘Budget 2015’ coverage. > The budget is of significant public interest and a matter of obvious political debate, generating a wide range of perspectives from political figures, journalists, experts and individuals. > The interview was broadcast live from Parliament House following the Treasurer’s budget speech to Parliament, with journalists having limited time to scrutinise the announcement and details of the budget. > ABC viewers would expect Ms Sales to probe the Treasurer on details of the budget in order to disclose information that would assist ABC viewers to better comprehend it. > ABC viewers would expect Ms Sales to assertively maintain her line of enquiry to prevent the interview being used as a political platform. > ABC viewers would expect Ms Sales to critically appraise comments made by the Treasurer about the budget, and to pursue a line of questioning that would result in further clarification for the audience. The ordinary reasonable viewer would have understood Ms Sales’ questions to be aimed at testing the Treasurer on aspects of his economic plan for reducing the budget deficit, the change in emphasis compared with the previous budget measures and its likely effect on different groups in the community. The ACMA has previously noted that on contentious matters of political debate, viewers expect presenters to be questioning and at times sceptical in their engagement with guests. Further, it is possible, indeed useful, for an interviewer to adopt a strong contrarian stance without this necessarily amounting to a lack of impartiality – particularly if the contrarian stance encourages the interviewee to explain or defend a position or claim. Such an approach is particularly well understood in interviews of seasoned political figures. There is no suggestion that any of the matters raised in the segment were factually inaccurate or presented in a way that was misleading to the viewer. The questions posed were based on their news value. The program included a sequence with political correspondent Greg Jennet and discussions with political editor Chris Uhlmann and finance expert Alan Kohler. Some of their observations were summarised and put to the Treasurer for response. In the context of a segment which dealt with topics addressed in the budget, the interview demonstrated a balance that followed the weight of evidence. Ms Sales took a questioning and contrarian stance in the interview. As noted above, this is acceptable in interviews with political figures, particularly on contentious matters of public interest. The ACMA does not consider that Ms Sales ‘screeched’ at the Treasurer as alleged by the complainant, nor that she displayed anger or loss of control. The ACMA considers that the purpose of Ms Sales’ interruptions was to clarify the Treasurer’s responses to her questions and to ensure that the interview remained on point. On the whole, Ms Sales maintained a firm but civil and objective approach in her questioning. While she adopted a contrarian and inquisitorial stance, the Treasurer was ultimately given the opportunity to answer Ms Sales’ questions in full, without undue interruption. The Treasurer, and the issues raised by him concerning the budget, received fair treatment in the sense contemplated in the Code. The Treasurer was given time to contest the issues put by Ms Sales and to give his views on the specific points and those raised in the broader context. This enabled the ordinary reasonable viewer to assess the credibility of the issues raised by Ms Sales, balanced by the Treasurer’s explanations, and to form his or her own view. Although Ms Sales adopted an adversarial or ‘devil’s advocate’ approach, she did not exhibit behaviour that would suggest a personal bias or a particular political leaning in the interview. Neither was she disrespectful to Mr Hockey in a way which would suggest a lack of open mindedness. Ms Sales was seen nodding at times and listening to Mr Hockey’s statements, indicating her willingness to have his answers aired. Further, throughout the interview, Ms Sales was courteous and civil, indicating that although her line of questioning was probing and robust, the interview was not a personal attack or driven by a personal agenda. Ms Sales’ interview with the Shadow Treasurer later in the program took a similarly assertive approach. With some politicians, they trot out the ‘bias’ claim whenever the interviewer asks them the difficult questions they would rather avoid. It is not called bias. It is called being accountable and the interviewer doing their job. Funny that Karl Stefanovic has grilled the Treasurer in many tough ways on the budget and Hockey has never cried bias, but the moment the tough questions are from an ABC presenter, he becomes a cry baby. Why is that? I am getting really sick and tired of the paranoid sooking Liberals bashing the ABC. The general public love the ABC so keep your dirty hands off it. Seems like some Pollies don’t like the fact Leigh was simply doing her job.